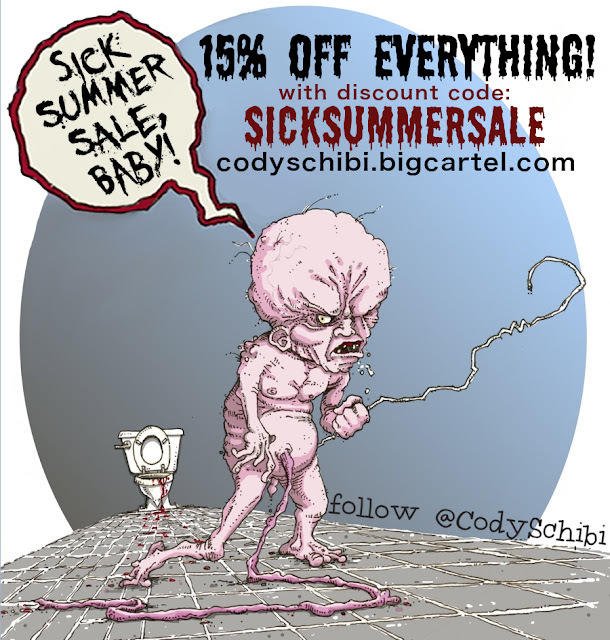 Drawing A Blank: The Art of Cody Schibi: Sick Summer Sale! It's the Summer of 2015, babes! So EVERYTHING in my online store is currently 15% OFF when you use discount code "SickSummerSale" upon checkout. ALL prints, ALL original art, ALL EVERYTHING! Head to my store to take advantage of this limited time summer sale!